The American First Day Cover Society Expertising Service has been discontinued, and its resources transferred to the American Philatelic Expertizing Service (APEX). Members desiring opinions on the genuineness of first day and other philatelic covers are encouraged to submit them to APEX. 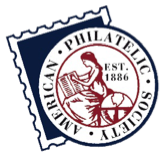 To learn more about APEX, visit the American Philatelic Society website.